Subscription-based billing models that fail to lawfully disclose material terms and obtain express informed consent are going to draw the attention of the Federal Trade Commission. No news there. Recently, however, prosecuting staff attorneys have developed an interesting line of questions pertaining to a narrow issue during investigational hearings of negative options marketers. This line of questions goes beyond the “traditional” FTC Act and Restore Online Shoppers’ Online Confidence Act investigational inquiries. The monetization of partial consumer data. FTC staff attorneys are now displaying a particular interest in partials, including whether consumers know and consent to their personal data being captured and used for marketing purposes when they drop-off prior to final completion of the transaction. The timing is not a coincidence. The Commission has gone to great lengths recently to bolster its consumer protection mission as the primary U.S. privacy and data security enforcer. The agency has also been paying a great deal of attention to the lead generation industry. Given today’s regulatory landscape, there is an inherent risk of failing to advise consumers, clearly and conspicuously, of how and when their information will be collected and used at all stages of the process. Of course, this risk is heightened if there is ultimately a telemarketing component employed to monetize partial leads. Recent inquiries by the FTC into the use of partials clearly evidence a growing level of regulatory sophistication. Adding transparency to the lead generation process in conjunction with an already high-risk billing model is sound practice. 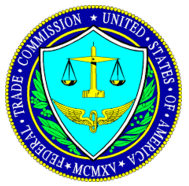 Contact an FTC defense attorney if you are interested in implementing preventative compliance measures, or if your company is the subject of a local, state or federal regulatory investigation or enforcement actions.